Villagroup faithfuls at Villa del Mar in Puerto Vallarta, who were among the first to enjoy the products offered by the renowned Mexican timeshare developer, continue to reap the benefits of their initial investment over two decades ago. Timeshare members at Villa del Mar enjoy the “old school” timeshare atmosphere where they arrive to their home from home each year, proof that timeshare is a lifestyle investment that will bring years of unbeatable vacation experiences. 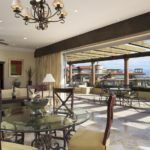 Villa del Mar is an intimate timeshare resort with 131 fully furnished air-conditioned suites that is adjacent to the larger complex of Villa del Palmar Timeshare by the same developers, Villagroup. Villa del Mar was one of the first resorts in the Villagroup chain to open and still retains its old-world charm. It benefits from a private pool, outdoor Jacuzzi and exclusive social areas as well as all the facilities of Villa del Palmar Timeshare Puerto Vallarta, such as its restaurants, spa, gym, more pools, beach access and so on. What is particularly attractive about Villa del Mar is that timeshare owners truly gain the sense of coming home. It is like its own community, where staff remember your name and owners ask for the same chambermaid each year. There are also stories of retired members of Villa del Mar staff who return to greet members who have been coming to stay in their Villagroup timeshare for around 20 years. Villa del Mar certainly benefits from its distinctive charm that epitomizes the initial vision of Villagroup in the 80s. The favorable location of Villa del Mar is also one of the attractive features of the resort. It is close enough to Puerto Vallarta’s downtown for cheap taxi ride or bumping bus journey and just opposite a Mexican shopping mall with a supermarket and everything you could need in your home away from home. Nowadays, the Villagroup timeshare model has evolved with its members to offer a range of different products to suit changing vacation needs. Villa Preferred Access was developed with such flexibility in mind, allowing timeshare owners to join the points scheme instead of a fixed week purchase. Share the post "Villa del Mar at Villa del Palmar Timeshare, Mexico"
A timeshare should be never considered as a financial investment. 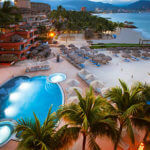 Timeshare owners have many financial obligations attached to the resort. Besides the initial payment and the total purchase price, there are other fees that will be continuously charged, such as maintenance fees and special assessment fees, which are likely to increase every year. Another factor to take into consideration is that timeshares do not go up in value, in fact, timeshares lose about 70% of their value when you first buy it.